When I first bought the app I was excited to play. But a day later I was not able to play the notes when a song is playing. 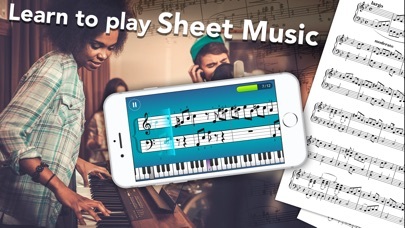 I am able to practice hitting the right keys in the learning mode but as soon as I have to play notes while the song is playing it says I missed it. I’ll hit the right note multiple time but It won’t work so then it automatically goes into practice mode. I’ll hit all he right notes in the practice but as soon as I have to play the note while the music is going it just won’t work. I end having to skip lessons because of it. I don’t know what’s else I can do with this app and I would like a refund. I received a notification that I was charged the total amount for the year, 119.00. I was only supposed to be charged 9.99. I would really appreciate it if I could get a refund for the wrong amount PLEASE. I’m happy to pay the 9.99 like I was lead to believe I would be paying. Thank you! The app is a wonderful concept, however I have to say I am not too happy with the learning progression. It is very repetitive and not that great once you understand the fundamentals. I wish there was a more advanced course or the option to skip ahead of the monotonous “tasks” you need to complete in order to actually get into the useful parts of the lessons. Also I wish the app allowed you to turn on note names instead of using numbers as default for note designation. So overall if a skip function was implemented and a note names option was added, I would be much more interested in the app. However until then, I will most likely not be using it. 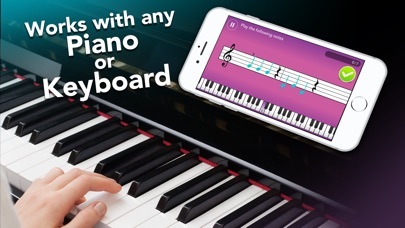 I love it it has helped my child so much I’m playing the piano thank you for this app!!! 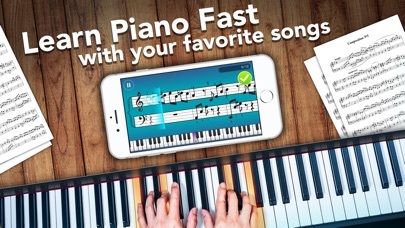 I was using this app to learn how to play the piano. I was only able to learn 5 keys and get one sheet of music. After that, I saw that to get anymore lessons or even more sheet music I had to pay. That’s not what I was looking for in this app. I think the app is good but I was charged twice for it first for the full access plan one year and then for the family plan 1 year, all the same day, Ive been trying to get my refund through apple store but no answer... what can I do?? I’ve been playing the guitar for 15+ years but was never good at sight reading and lacked good understanding of music theory. 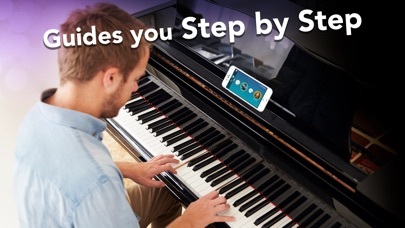 I bought this app for my son who was showing a lot interest in learning to play the keyboard, fast forward 3 weeks and we ended up buying a $1500 electric piano and a midi interface to go with it! We upgraded our subscription to family membership and are all addicted to it! It will teach you five keys unless you pay for the unlimited witch is kinda expensive so some people might not be able to buy the unlimited. 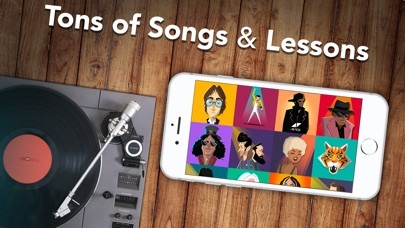 Great app if you wanna learn five keys!